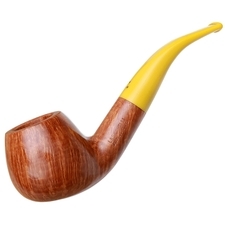 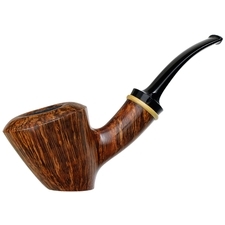 A fairly unusual sight, it's rather rare to find an iteration of the classic Bulldog shape from Smio Satou, especially compared his various Dublins and Volcanoes. 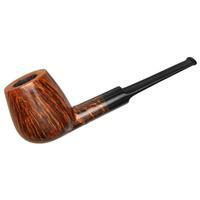 When he does produce them, however, they tend to be on par with this one here: that is gorgeously realized, imbued with a touch of Danish classic charm, and exhibiting a tight, energetic sense of control. 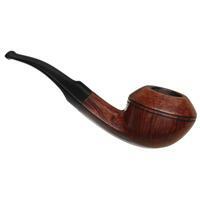 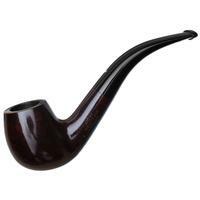 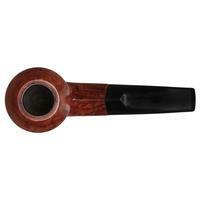 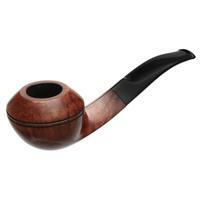 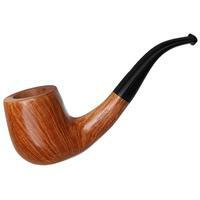 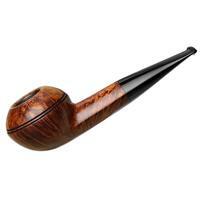 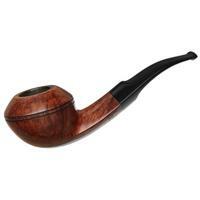 Indeed, this sprightly fellow is defined by a singular, sweeping line at the underside, culminating in a poised, upright bowl housing a fairly modest, squarely-proportioned chamber. 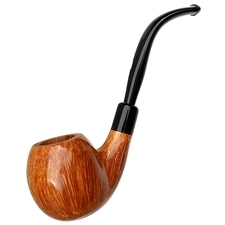 A double-beadline wraps its way around the equator, bolstering a lower-profile beveled region up top. 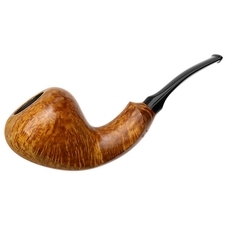 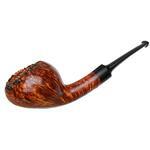 There's some rim darkening and over-buffing to the stem, but otherwise condition is excellent.